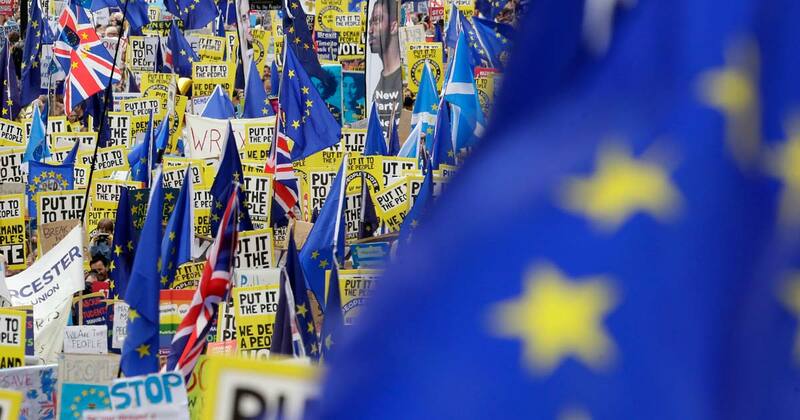 Anti-Brexit protesters flooded into central London by the hundreds of thousands, demanding that Britain’s Conservative-led government hold a new referendum on whether Britain should leave the European Union. 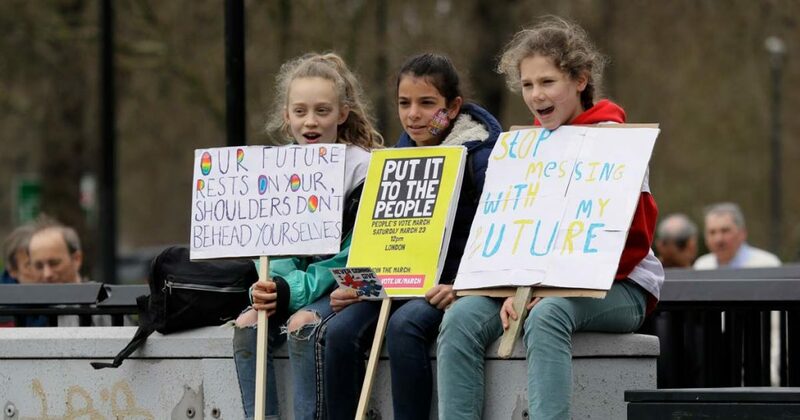 The “People’s Vote March” on Saturday snaked from Park Lane and other locations to converge on the U.K. Parliament, where the fate of Brexit will be decided in the coming weeks. The protesters chanted slogans against Brexit and many also held up homemade signs, including “17,410,742 people need a good spanking,” in reference to the number of Britons who supported leaving the EU in a 2016 vote. 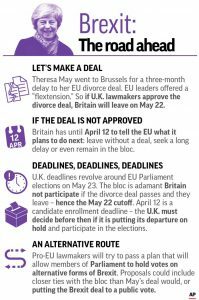 The gathering in Madrid’s Margaret Thatcher Plaza on Saturday comes before what is expected to be a massive march in London in favor of a second Brexit referendum.